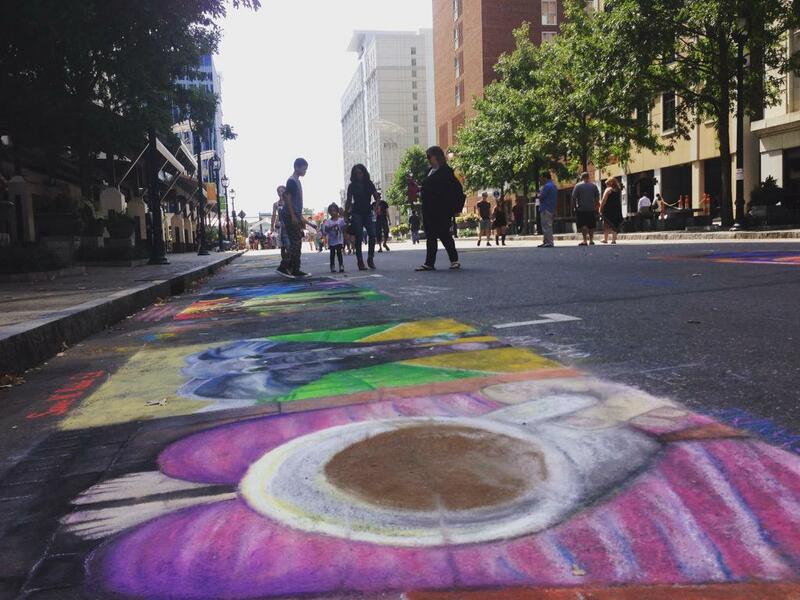 The streets of downtown Raleigh were filled with artists painting vibrant scenes, acrobatics, fire dancers and interactive technology, all because of SPARKcon, Raleigh’s annual festival of creativity. It was four days of 200 shows, acts and exhibits, 2000 artists and performers, bringing together an explosion of art in the heart of Raleigh. SPARKcon uses an open source approach, meaning everyone gets to be involved, or just sit back and enjoy the show. This art festival involves interactive activities that engage participants so that they are a part of the action. Actually, 60,000 people interacted with all the events that happened this past weekend. This was SPARKcon’s tenth anniversary, coining the term “SPARKconX.” See the great photo below of Sarah Powers and Council Member Mary Ann Baldwin doing the SPARKcon handshake. Follow us at @RaleighWake and @WorkTriangleNC so that you can see some of the action that was caught by us! There were plenty of artistic options to choose from this weekend with all of the ”SPARKs” (see below). Visit SPARKcon’s website to learn about each! SPARKcon, like Hopscotch, is a concentrated weekend, which shows the vibrant art’s scene here in Raleigh. Raleigh is an open source community, allowing for artists to come together and celebrate their talents. We have techies playing violin and street painters who come from all over to display their art in an original way. To top it off, we have a city government who supports it all. 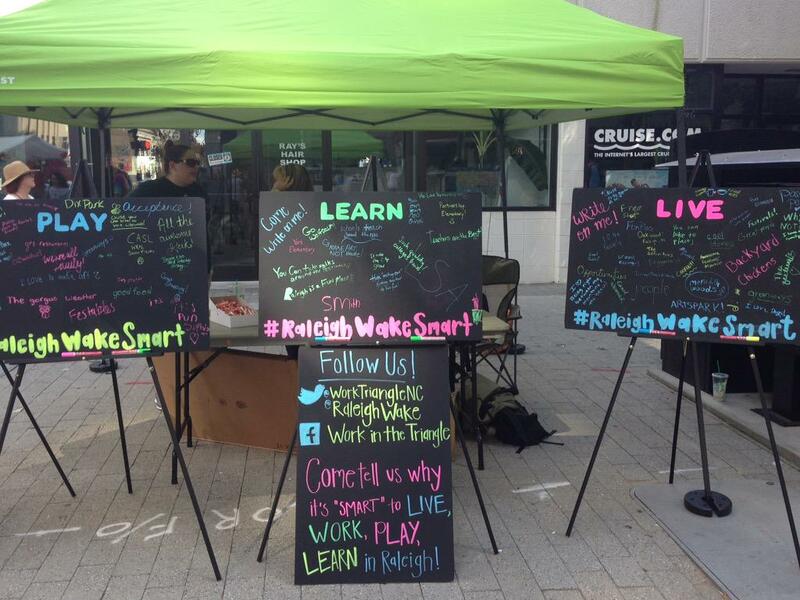 As part of our talent initiative Work in the Triangle, Wake County Economic Development asked people to give their take on why Raleigh is a "smart" place to live, work, play and learn. 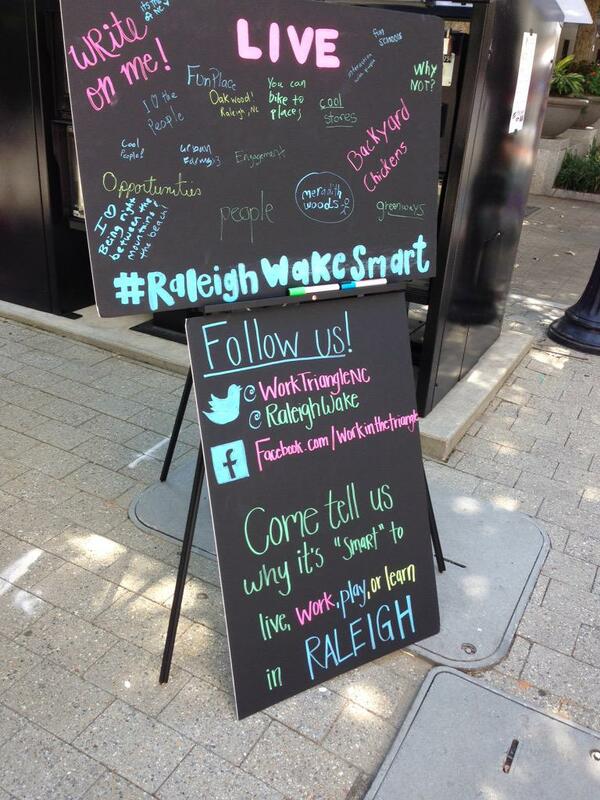 They could even participate on twitter using the hashtag #RaleighWakeSmart. We had some great responses from the community, from opportunity to location in the state. Once SPARKcon is over, the creativity doesn’t stop, Raleigh and the Triangle region have numerous arts venues to keep the creative genius entertained. The North Carolina Symphony makes the Triangle its home, along with the North Carolina Opera, North Carolina Ballet and North Carolina Theatre. The Duke Energy Performing Arts Center in downtown Raleigh and Durham Performing Arts Center in Durham bring Broadway to the Triangle. We’ve even been called the “Smithsonian of the South.” Not to mention, the North Carolina Museum of Art that features a Museum Park encompassing over 160 acres of fields, woodlands and creeks that presents a unique setting to explore the intersection of art and nature. Make sure to mark your calendars for next year's SPARKcon and continue to explore the art scene in the area throughout the year.